Hello pretties, hope you had a wonderful weekend. Mine was good, welcoming the monsoons in Mumbai, finally. Last week Purplle had launched its first in-house makeup product and that is the Purplle Ultra HD Matte Lipstick. I could not resist myself and picked up 2 shades from the range. Go back in time and remember the pranks you played on your friends and siblings. Get the same naughty shade for your lips to do all the talking. 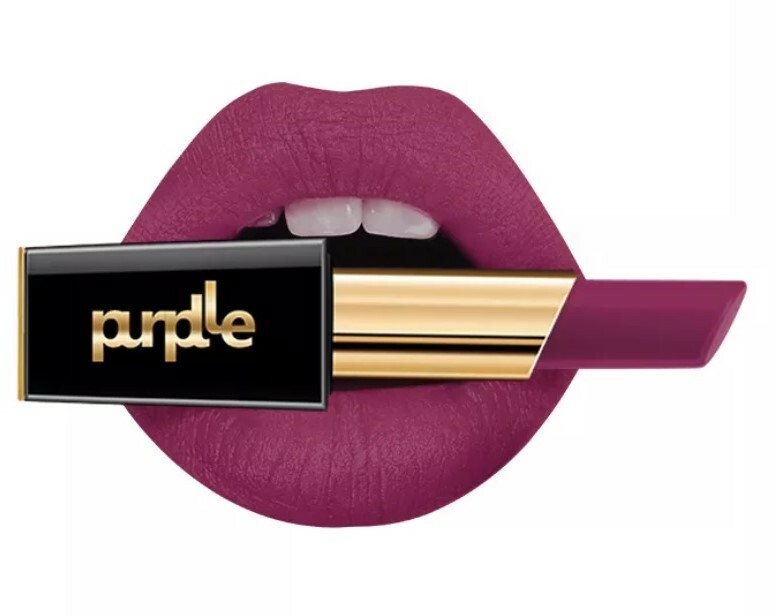 Purplle Pranks Partner Ultra HD Matte Lipstick is your go to shade when you want to paint the town naughty. Tag along with your favourite girlfriend and pull off some pranks which would make everyone around you laugh! Don't worry about re-application as it will surely last for a long - long time. This is supposed to be a very dark purple shade. There is no description on the website. 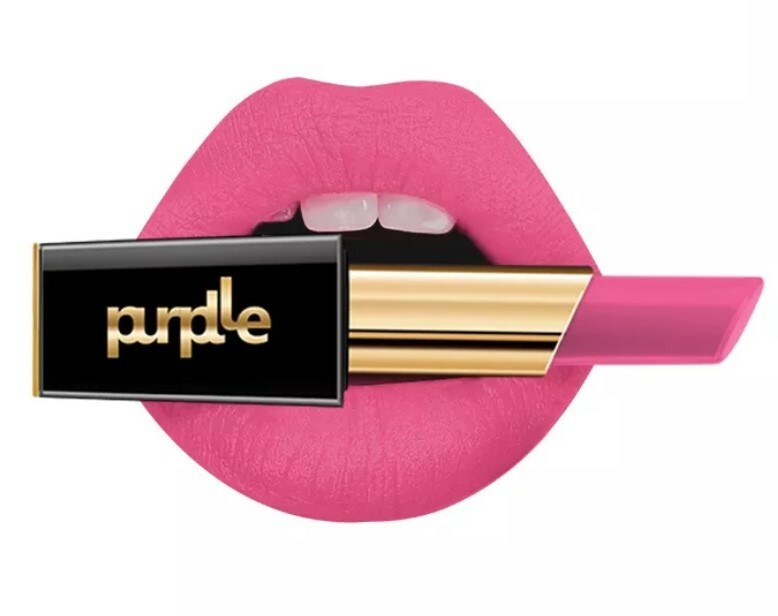 My experience: Purplle's new launch had been widely advertised online and the online shade indicators look really pretty. 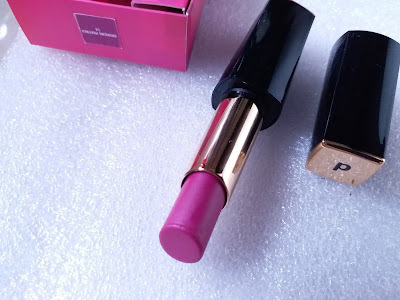 I did not like the black and gold packaging as it quite looks like the Rs.30 lipsticks that I had purchased from Ebay. I selected the lightest pink shade and a darkest plum shade, at least that's what the shades were appearing to be on their site. When I received the product I was quite surprised to see the quite secure packaging the lipsticks were. They come in plastic covers and the top lip is magnetic. But my shock started when I opened the shade Pranks Partner. It does not by any means match the shade that has been shown on the site. In fact quite contrary to the pretty light barbie pink, it is a very striking fuschia with heavily blue undertones. It has a nice holographic effect which comes after applying few layers of the shade. So it is not at all pigmented. 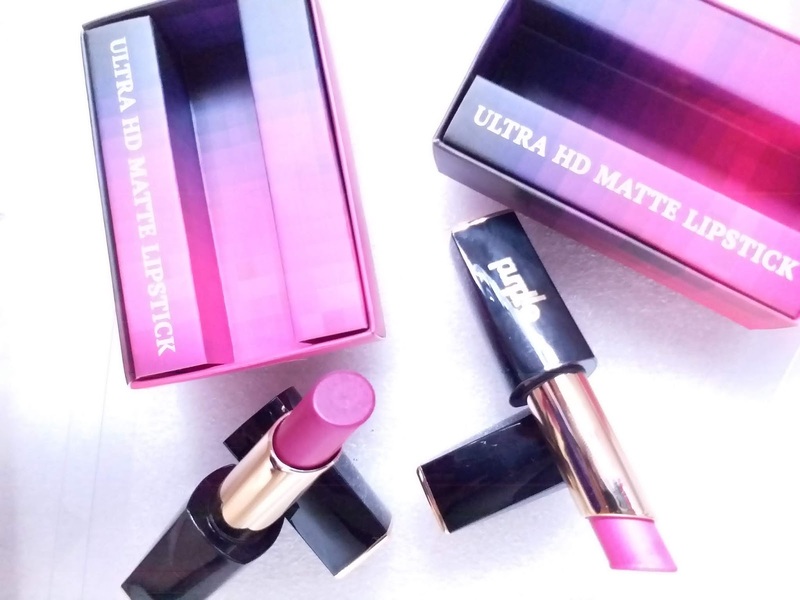 Also, I dont know why it is termed as Ultra Matte. At the most it can be close to a cream matte. The 2nd shade Drinking Partner is slightly better than the other shade. It at least somewhat matches the shade that is shown on the website. 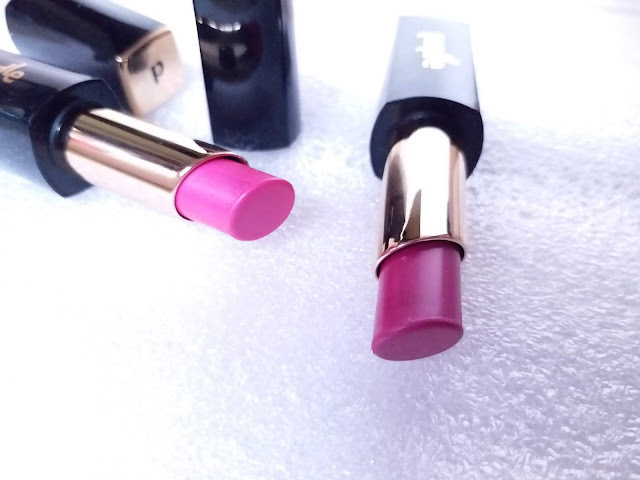 The consistency is also slightly matte, but in no way ultra matte. Both the shades transfer a lot. 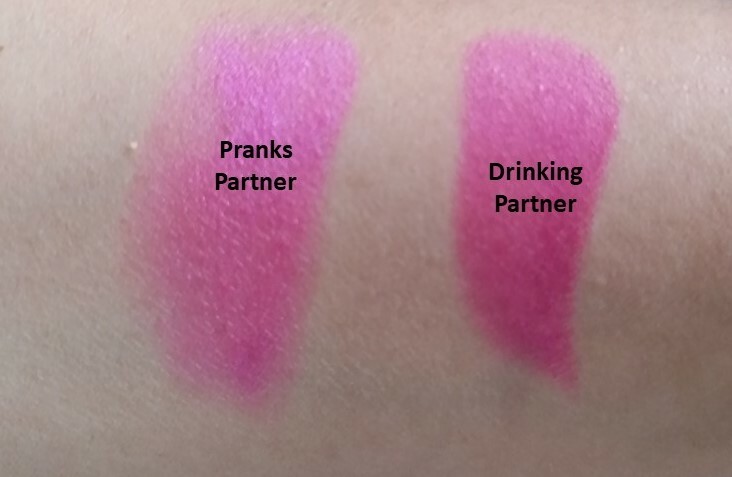 None of the shades are smudge proof, as described by the brand. The lighter shade does not give much colour at one swipe, again quite contrary to the description. One thing I cannot deny is that the lipsticks are very hydrating. 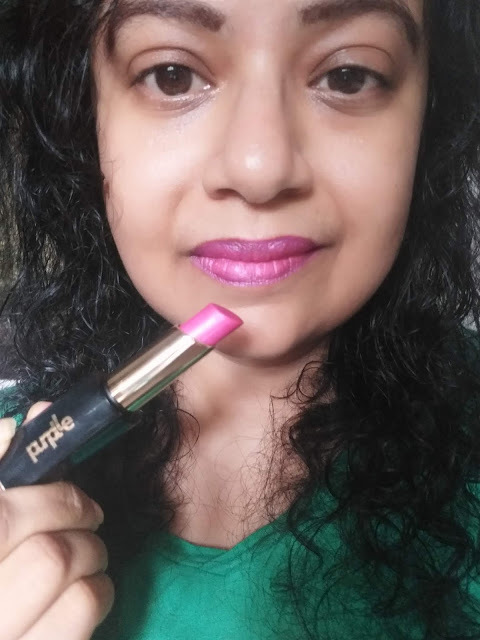 it does not dry out the lips at all. The stay power is also not great as it transfers and smudges a lot. 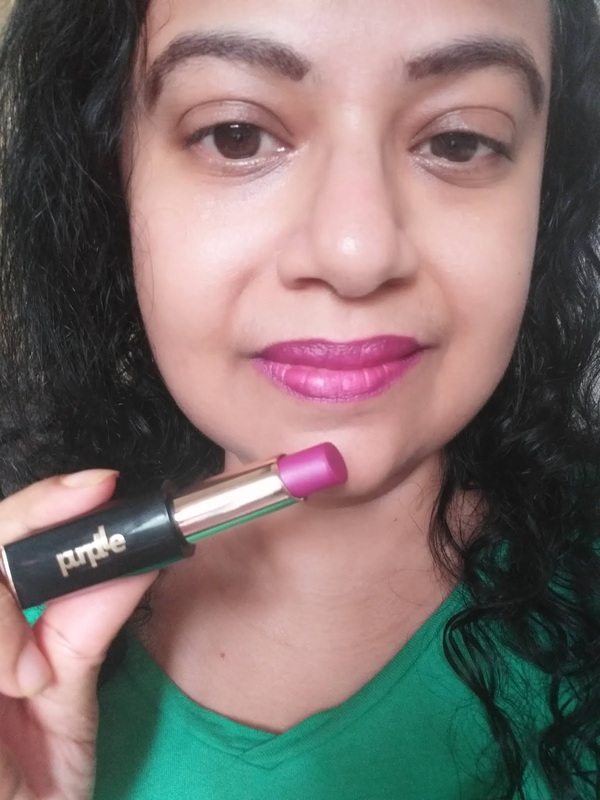 Overall I am very disappointed by the new launch Purplle Ultra HD Matte Lipsticks. 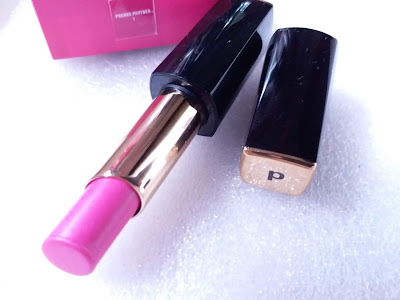 Although it comes at an affordable price, we have lots of other brands that have better lipsticks in this range and less.